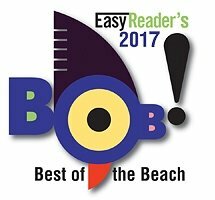 for the 7th year in a row! 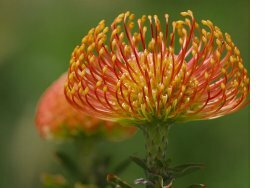 Proteas: Part of the Leucadendron family this beautiful plant favored by florists need full sun and reasonable drainage. It is easy to grow and is ideally suited to our climate. When planting, simply plant level with the surrounding ground. No additives are needed. Water well. Proteas, just like most Australian natives, prefer a good drink once a week during dry periods and warmer months, rather than little and often. 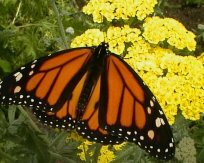 In Spring you can safely apply a slow-release, low-phosphorous fertilizer (suitable for native plants) such as Cottonseed Meal. 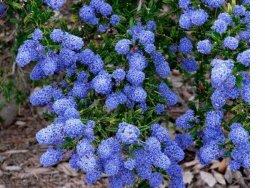 Ceanothus: California Lilacs, or Ceanothus, are some of our most fragrant and colorful shrubs here in California. 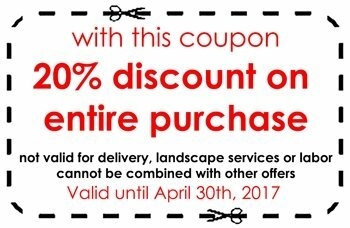 They are evergreen and very drought tolerant once established. They bloom early in the spring and bring a welcome blue color to our Southern California gardens. There are several different varieties that grow to different heights so be sure to choose one that fits your garden. Grevillea: The Grevilleas are a remarkable and beautiful group of plants. Among the 270 or more species, almost entirely from Australia, the habit can be that of a large forest tree or a diminutive crevice plant. The color and structure of the flowers and leaf size and shape are so different in the many species that their relationship is often not apparent. 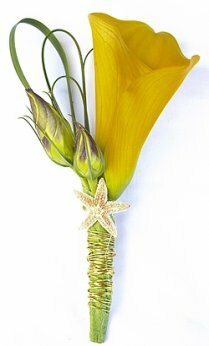 They are woody evergreen plants that usually have interestingly intricate and beautiful flowers. 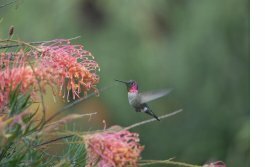 Grevilleas are planted their floral and foliage display as well as ability to attract nectar-feeding birds to the garden. 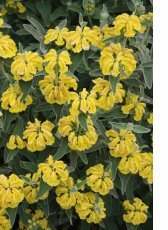 Phlomis: Phlomis fruticosa, commonly called Turkish sage or Jerusalem sage, is an upright herbaceous perennial of the mint family that is native to open woods and clearings in Turkey and Syria. It typically grows to 2-3' tall and to 3-4' wide. Flower clusters give way in late summer to ornamental seed heads which remain attractive throughout fall into winter. 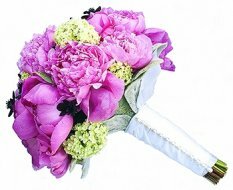 Flowers are attractive as cut flowers or for dry arrangements. 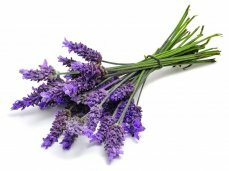 It is easily grown in organically rich, fertile, dry to medium moisture, well-drained soils in full sun. Tolerates light shade. Prefers sandy soils with excellent drainage. Plants appreciate some regular moisture in hot summer climates. 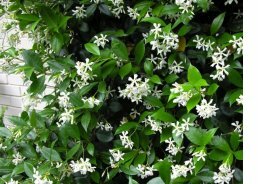 Star Jasmine: Also called Confederate jasmine, star jasmine (Trachelospermum jasminoides) is a vine that produces highly fragrant, white blossoms that attract bees and other pollinators. Native to China and Japan, it does very well in California and the southern U.S., where it provides excellent ground cover and climbing decoration. It blooms early in spring with large clusters of long lasting white flowers. 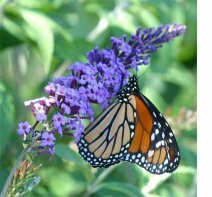 Buddleia: Commonly known as the Butterfly Bush, Buddleia davidii is a beautiful, fast-growing deciduous shrub with masses of long spiked blossoms that bloom from summer to autumn. 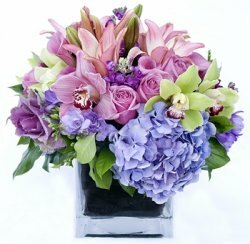 The flowers come in many colors, and attract butterflies. The shrub is also low-maintenance, only required dead-heading and annual pruning in later winter to encourage flowers and a compact shape. Milkweed: American milkweeds are an important nectar source for native bees, wasps, and other nectar-seeking insects,and a larval food source for monarch butterflies and their relatives. There are over 100 species of milkweed in North America. 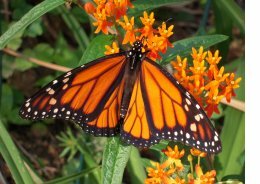 Grow Milkweed plants and entice Monarch Butterflies into your garden.Try planting several varieties to increase your odds of seeing (and supporting) magnificent monarchs. The Fiddle Leaf Fig is the superstar of houseplants. its large dramatic leaves and branching habit are unbeatable for indoor beauty and elegance. They thrive in bright filtered light. 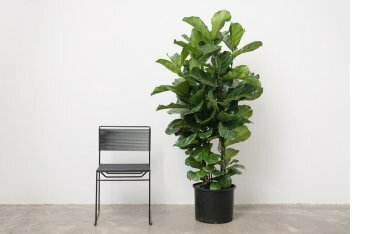 As natives to the tropics, they also thrive in warm, wet conditions, which aren’t always easy to provide indoors.The good news is that the fiddle-leaf fig, Ficus lyrata, is a tough plant that adapts easily to conditions. Once acclimated, it can grow to 6 feet or taller. Make sure that your plant is kept away from cold drafts. Figs are used to the still, warm conditions of the rainforest. Cold drafts from windows, doors and air-conditioning units may cause its leaves to dry out and drop. We have a large variety of tomato plants as well as Blueberries, raspberries and blackberries. Now is the time to get these into the ground or planted in pots before the heat of the summer comes. Tomatoes require heat in order to produce an abundant crop of sweet fruit so plant them where they will get plenty of sunshine. Blueberries: Blueberry plants grow well in containers as well as in the ground. They are at their best when growing in acidic soil. They prefer soil with a pH of 4.5 to 5.5. 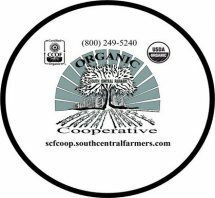 If your soil is not acidic enough consider adding Soil Acidifier. Blueberry plants are self-pollinating, however we still recommend planting another variety in your yard for optimum fruit production. 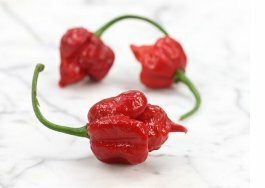 Peppers: We have a variety of pepper plants including several of the extremely hot types such as Carolina Reaper, Scorpion, Ghost, Fatali, and others. 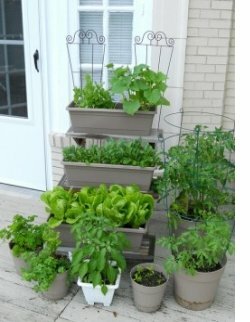 Ideally, vegetables grown in containers should be grown outdoors, on a patio or a balcony. Y ou can use any type of container from the simple bucket to purpose made large wooden planters, plastic buckets, old sinks, polystyrene boxes retrieved from the grocery store, plastic laundry baskets, half wine barrels and plastic window box planters. Whatever you use - the deeper and wider the better. If you are using terracotta or wooden containers for container gardening the soil will dry out quicker than if you are using plastic containers. For top heavy plants like tomatoes, peppers and eggplants, make sure that the container is heavy and weighted. For trailing plants like snow peas think about growing vegetables in hanging baskets instead. Hanging baskets are also a novel way of growing herbs. 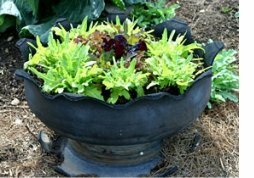 You don't need to waste space by using broken pottery or stones at the bottom of your containers. However, to prevent the soil being washed away through the drainage holes, place a piece of window screen across the holes before adding the soil. Customers may order a box every week, every two weeks, once a month or simply when you feel like one. The large boxes contain enough seasonal vegetables to feed a family of four for a week or a single/couple for two weeks. At $22 for a box and $17 for a mini box it is a bargain! Expect an abundance of snails after all the rain we have had. The most effective way of dealing with them is "That's It" snail and slug bait now available again with its original formula. It really does work!